Lionel Messi: as good as ever! Now having entered his third decade, Lionel Messi may not have quite the same explosivity as in previous years but that does not mean that he is any less dangerous as he knows when and where to run better than ever. It may seem that the ‘little flea’ has rested more under Ernesto Valverde, the truth is that this season he has played more than ever when fit, 88.61% of the time. He was given a break during the games against Juventus and Sporting in the Champions League who otherwise has only not played in the cup. 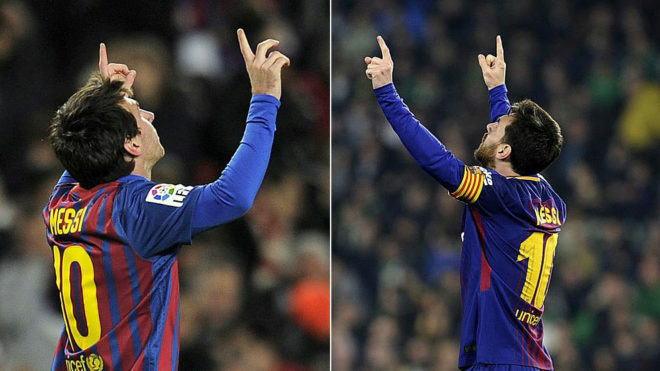 Messi’s goal scoring record this season is better than in recent years as he has 19, compared to 15 and 11 at this stage of the campaign in the last two seasons. He is near to the best statistics in his career, although he is a long way short of the 28 he had at this stage in the 2012/13 campaign. With Neymar gone, Messi has had to look elsewhere to find players that he can link-up with and Jordi Alba has come to the fore this season. The Argentine’s passes over the top of rival defences for Alba have been difficult to defend and a mark of Valverde’s team. So far Messi has nine assists along with the 19 goals. As well as the top scorer in the league he also has most shots on target (53), total shots (122), free-kicks taken (27), passes in the opposition half (949), passes received (1,236), attempted dribbles (188), successful dribbles (116), big chances created (21) and touches in the opposition area (193). On top of this of course is also the spectacle and bring fans to their feet such as away to Betis where he dominated and ran the game. It leaves open the debate which is the best Messi, whether it was the explosive Messi or the present version where he controls the game more.